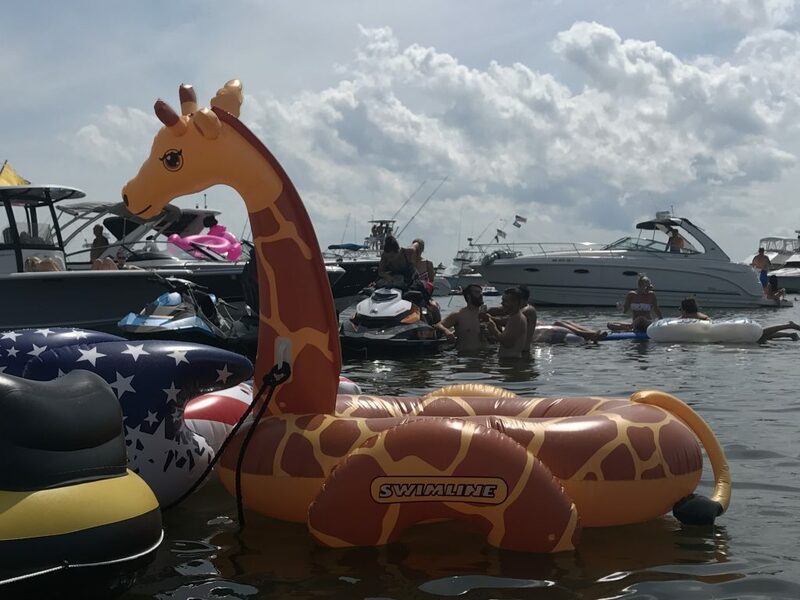 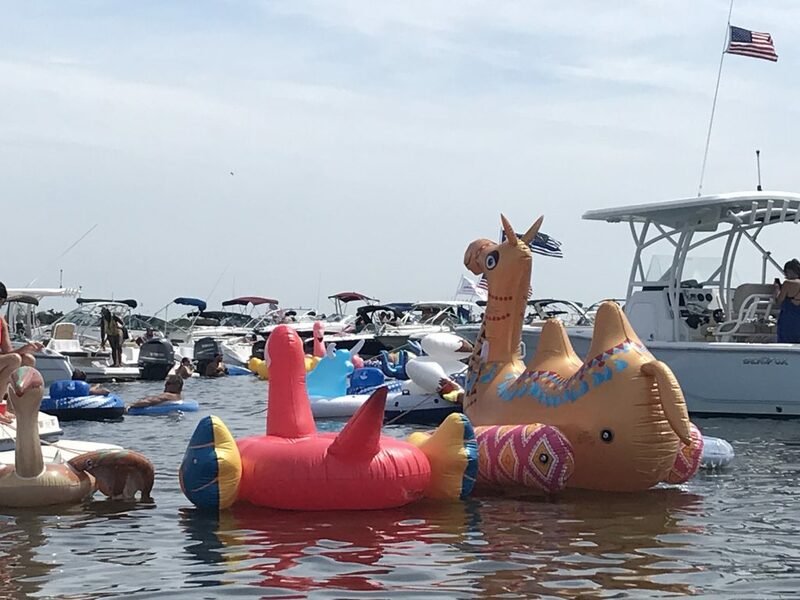 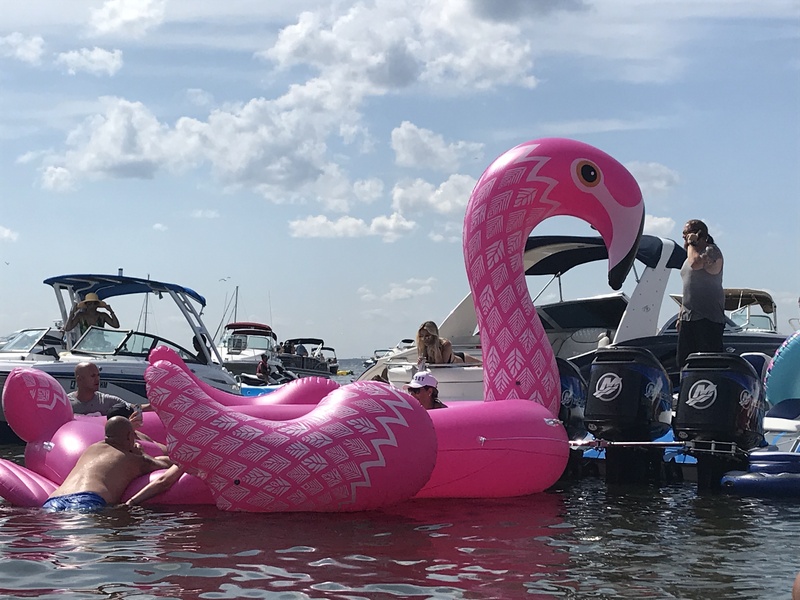 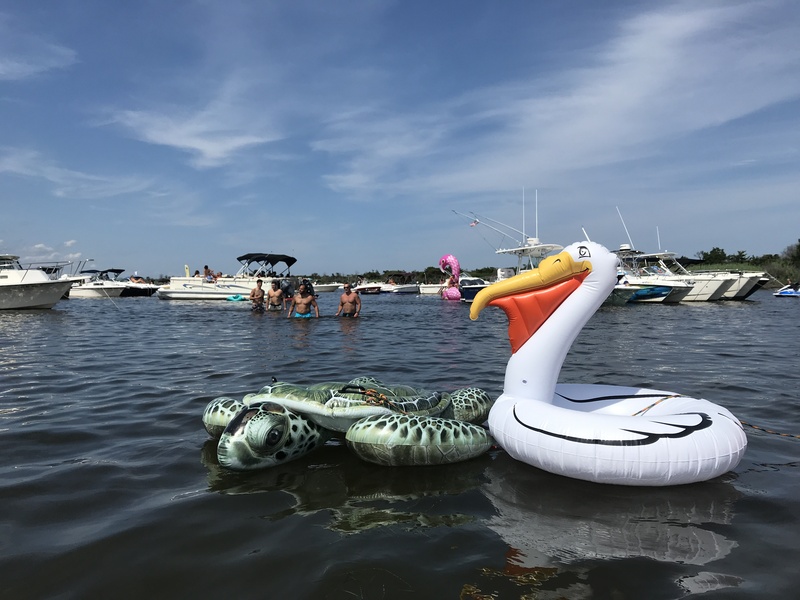 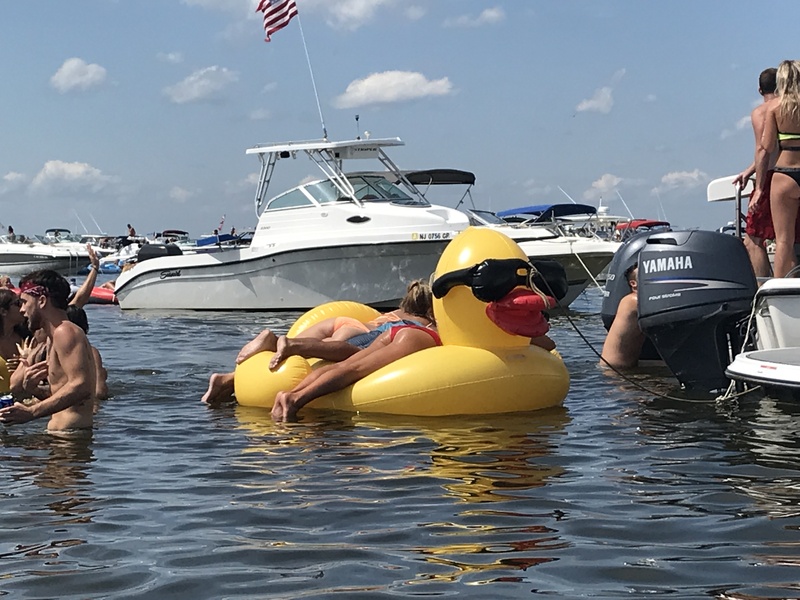 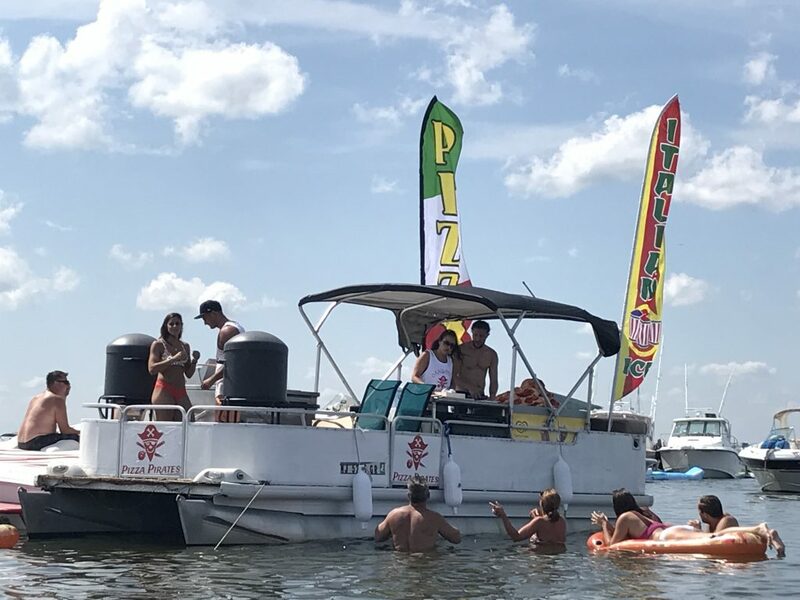 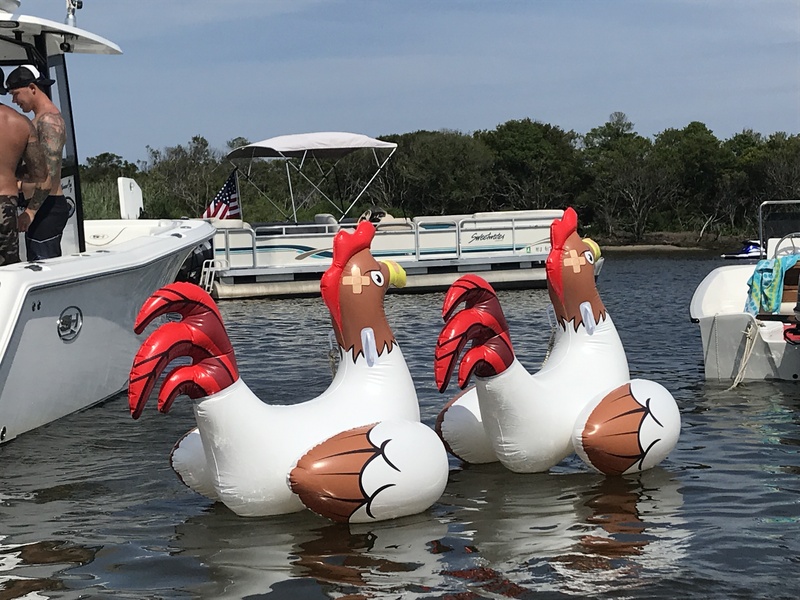 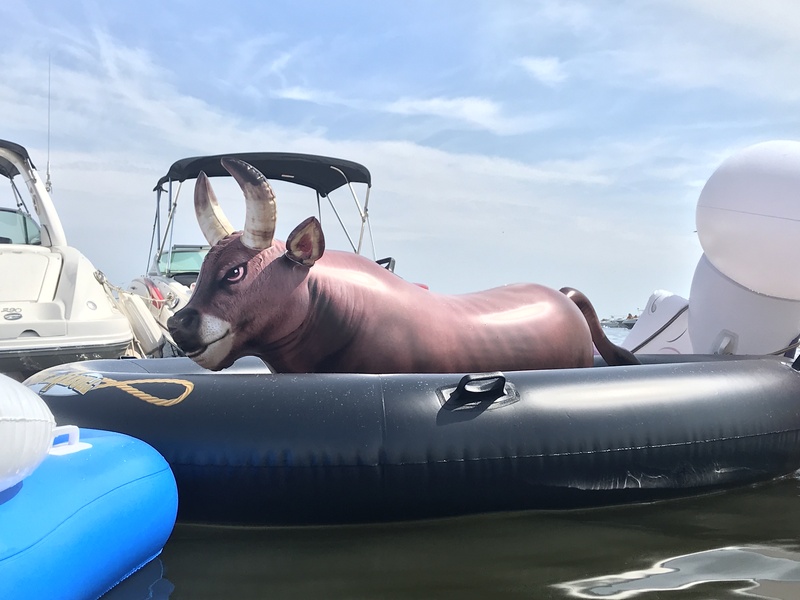 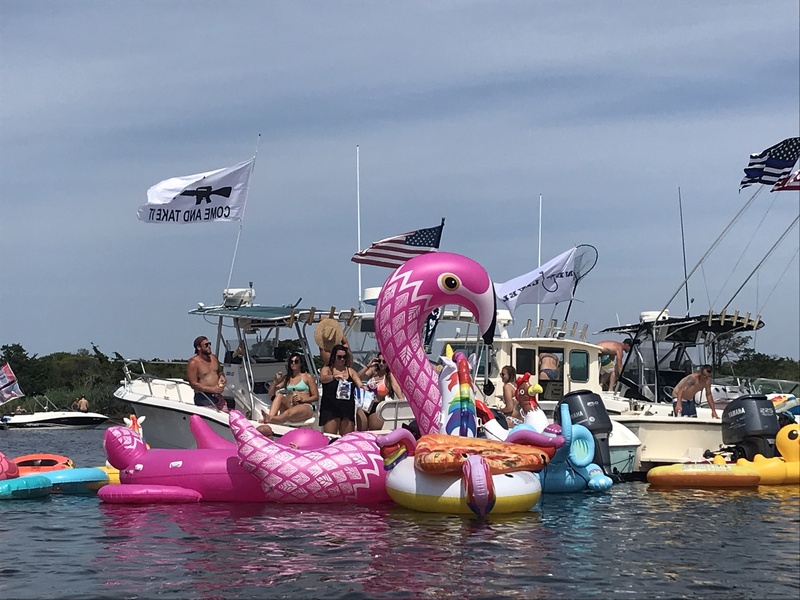 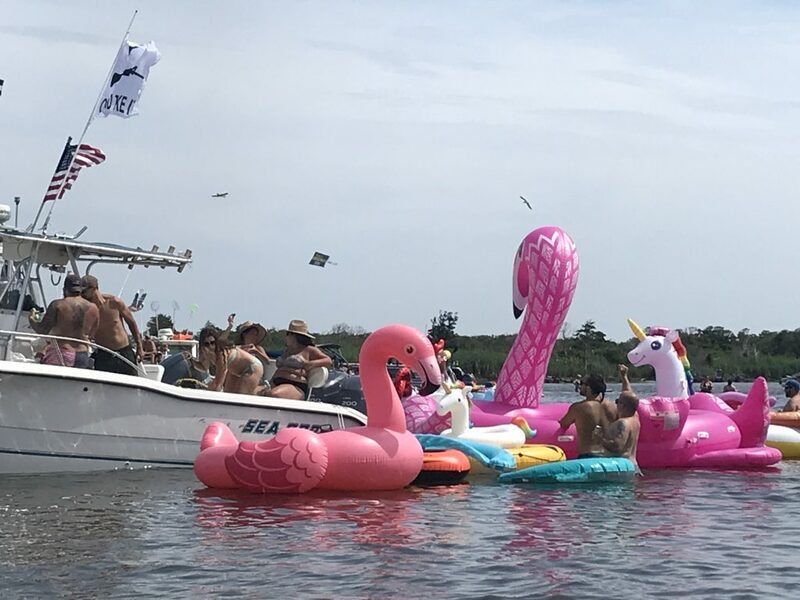 It was a day of fun, floats and a bit of maritime chaos Sunday as the annual Floatchella gathering, spread by social media, brought thousands of revelers to Tices Shoal to celebrate. 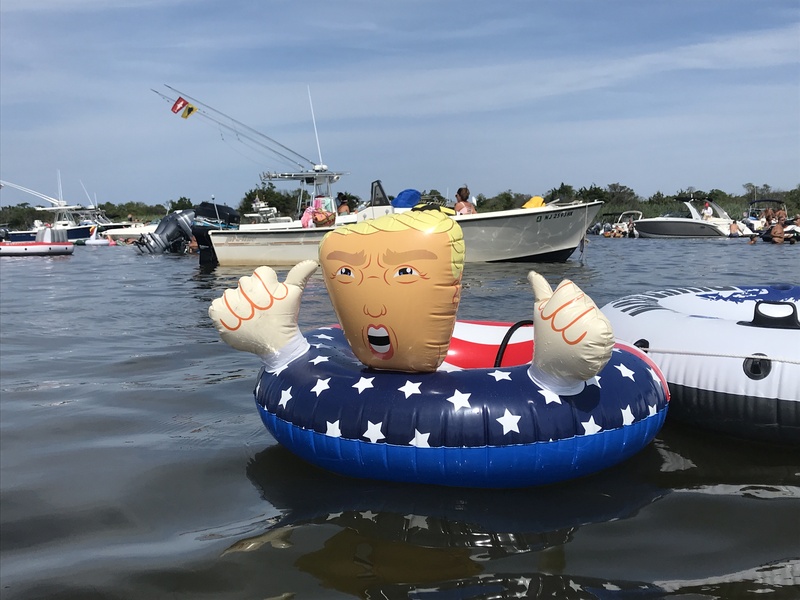 There was a blow-up mechanical bull, giant flamingos, floating slices of pizza and even a Donald Trump tube in the mix. 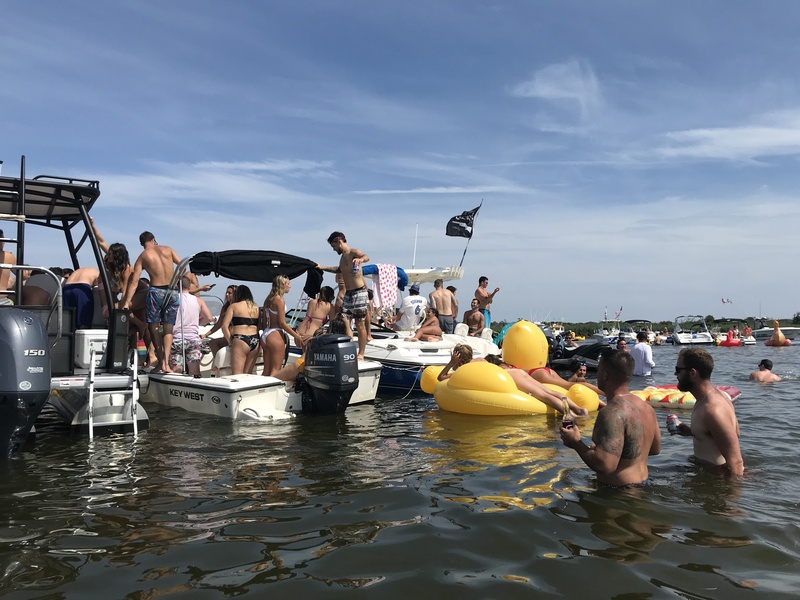 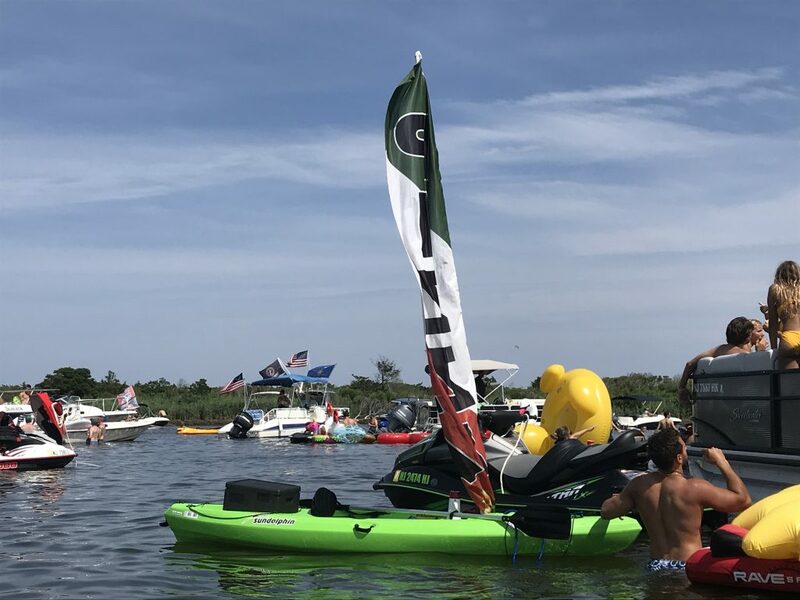 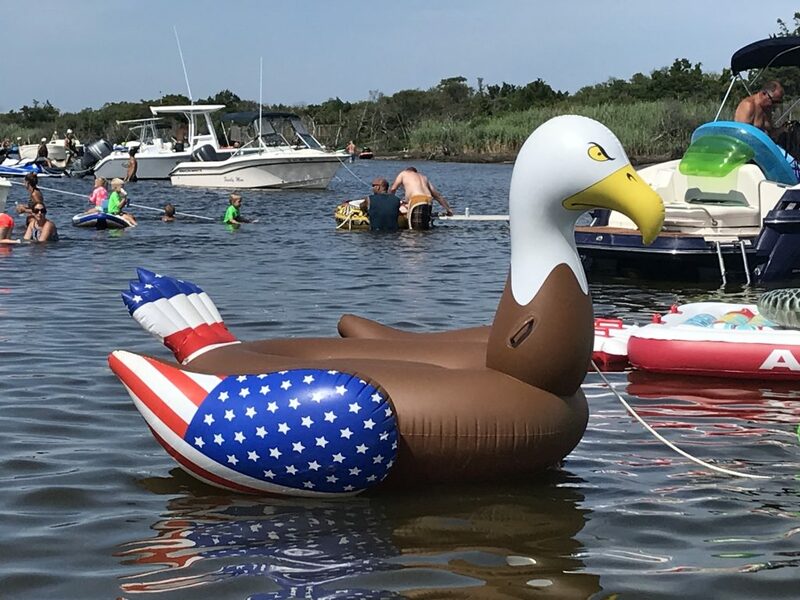 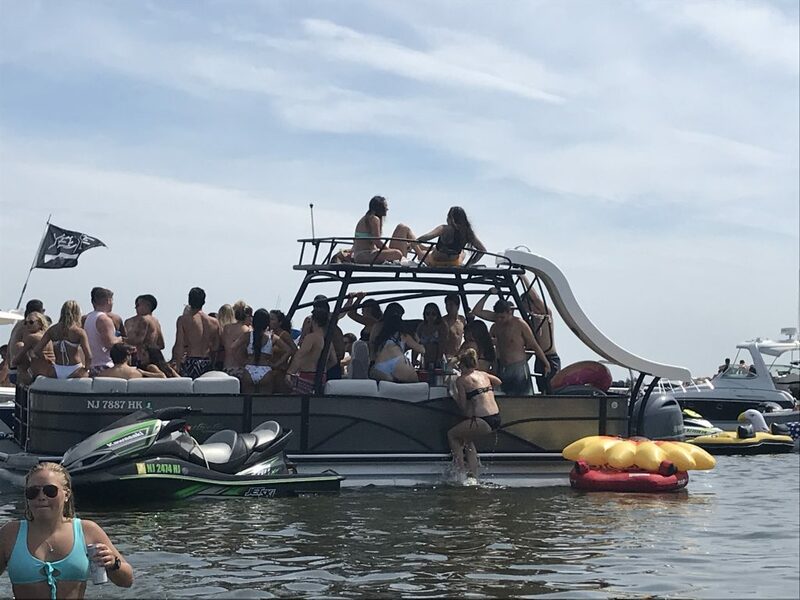 There was also the occasional boat that dragged its anchor or became stuck on a sandbar, and Ocean County sheriff’s officers and state troopers did their best to make sure the seemingly never-ending rows of boats, yachts, jet-skis and tubes didn’t collide. 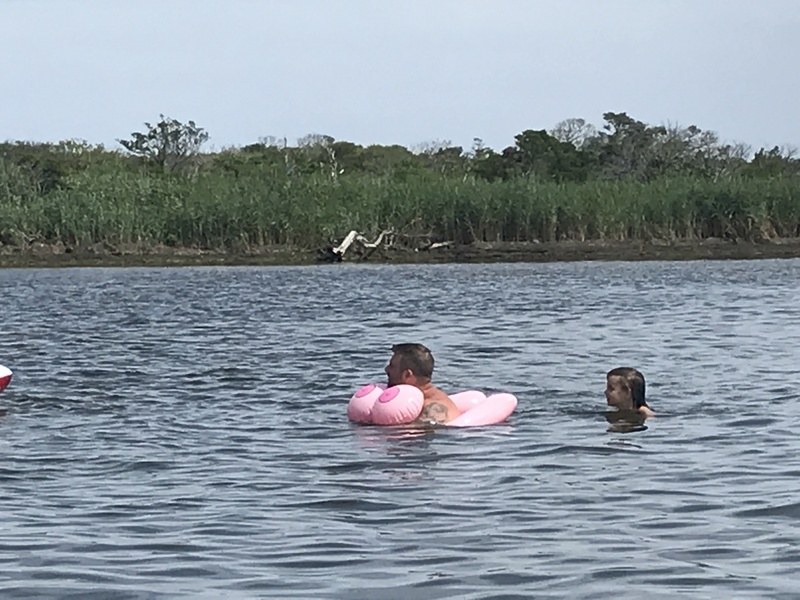 We hopped off our own boat to take a walk around the shoal, located behind Island Beach State Park, to capture a few sights we won’t soon forget. 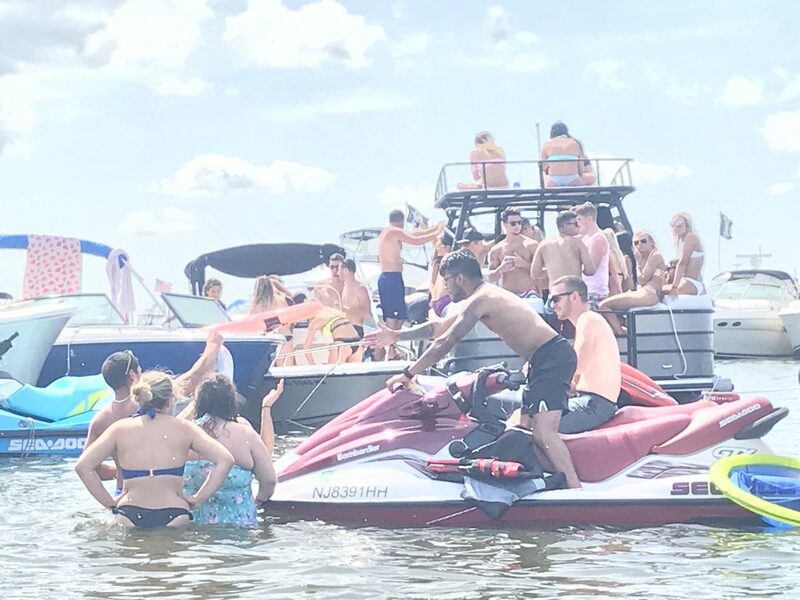 The photos can be seen below.